Reuters, by Hamid Ould Ahmed and Aziz El Yaakoubi (Algiers, Algeria, June 6, 2013) – Morocco is likely to halve grain imports after favorable weather raised expectations for a much improved domestic harvest this year, and neighboring Algeria has had similarly positive weather, which may allow it to lower purchases. Tunisia, however, the smallest grain importer among north African countries, is expected to buy higher volumes after expectations of a 30 percent drop in local harvest. Moroccan Agriculture Minister Aziz Akhannouch expects this year’s grains harvest to reach 9.7 million tons, including 5.2 million tons of soft wheat. That would be a 90 percent increase from the 5.1 million tons harvested in 2012 when the Kingdom was hit by drought, which slashed soft wheat harvest to 2.74 million tons. The output decline had prompted the government to import massively during the last six months. 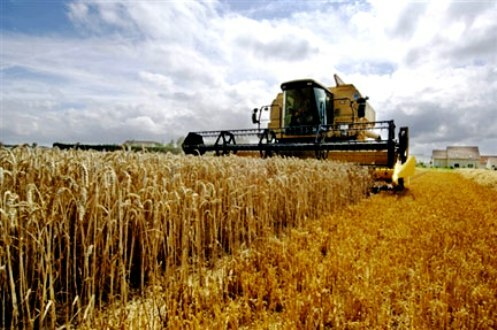 The previous year’s harvest included 4.17 million tons of soft wheat and 1.85 million tons of durum wheat. “Our crop will reach 5.2 million tons of soft wheat. It’s a record,” Akhannouch said this week, sticking to a forecast announced in April. In a bid to ensure a regular supply of soft wheat, the government had frozen the 17 percent import duty on the commodity from October last year to April. The measure was not extended. “To protect farmers, we have reset customs protection, and we will boost demand by issuing tenders to buy soft wheat,” Akhannouch said. 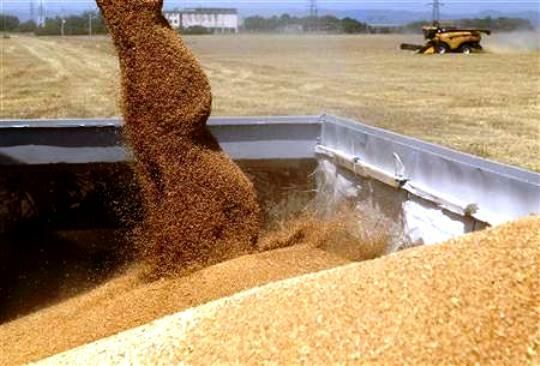 The state grains agency ONICL said in March Morocco’s soft wheat imports reached 1.6 million tons since the import duty was frozen between October 1 and the end of February. Like Morocco, Algeria, one of the world’s biggest grain importers, benefited this year from increased rains for all -planted areas, and the government expects output to be better than last year. “Production will be good this year. Climate was good. We are confident,” Agriculture Minister Rachid Benaissa said, without giving a figure. “This year will be excellent,” said Mohamed Alioui, head of the country’s farmers’ union. Grain output last year was 5.1 million tons, below forecasts of 5.8 million tons, with the government blaming insufficient rainfall in addition to a heat wave and fires that affected some areas. Drought in Algeria usually hits western areas. “Unlike the past years, production will be very good this year in the west,” Benaissa said, hoping to see imports reduced. Algeria’s annual grain imports averaged 5 million tons over the past five years. Official figures show total wheat imports fell 7.32 percent to 1.873 million tons in the first four months of this year from the same period in 2012. Algeria imports mainly soft wheat, with France as top supplier. In contrast to its western neighbor Algeria, Tunisia is pessimistic about the harvest for this year due to a lack of rain. Agriculture Minister Mohamed Ben Salem has said total grains production will be between 1.4 million and 1.5 million tons, down from 2.2 million tons in 2012. Tunisia, with a population of 11 million, harvested an average of 1.7 million tons over the past decade. It imports mainly soft wheat and barley. Tunisia’s state grains agency has said soft, durum wheat and barley imports would total around 1.5 million tons from January to December this year.